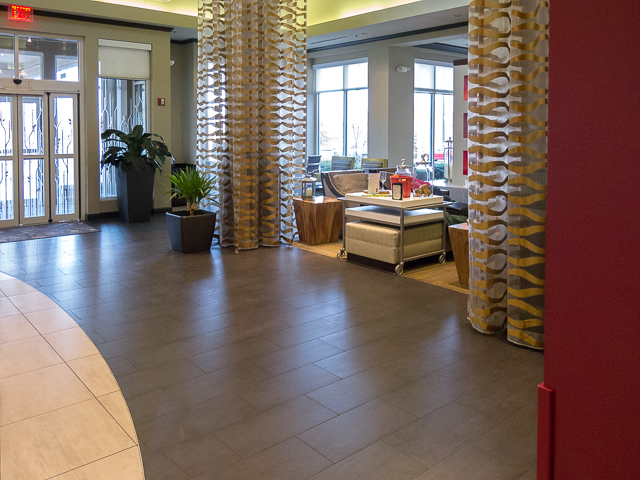 Hilton Garden Inn, Albany Airport | Should We Go There? 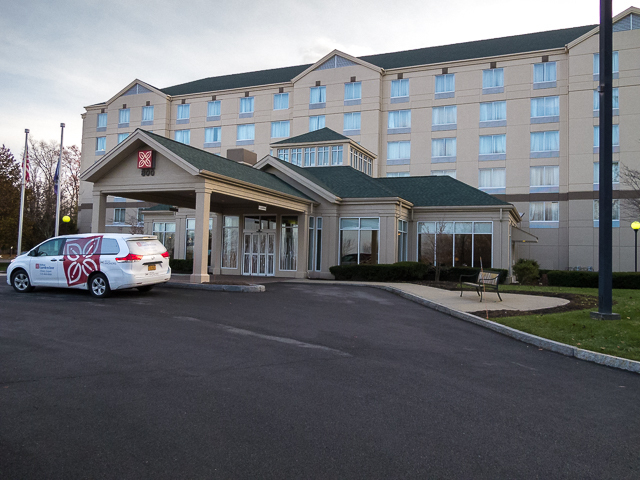 I recently had the “opportunity” to stay at the Hilton Garden Inn Hotel next to the Albany airport. While the hotel is decent, it does have some drawbacks. The convenience of being right next to the airport presents one major drawback, that there is nothing around the hotel at all. If you don’t have a car available to you, you’re pretty much limited to the facilities available at the hotel. 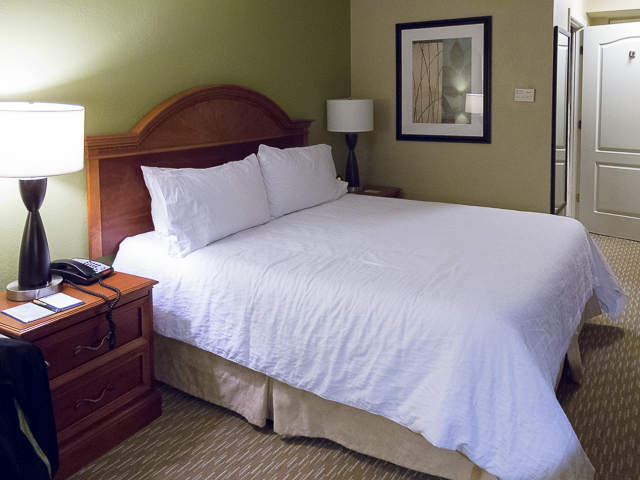 The guest rooms are clean and well-appointed, yet appear to be at the standard of an “average” hotel. The one thing I do like about the guest rooms is that there are plenty of electrical outlets to plug-in chargers and other electronic equipment. The restaurant opens at 6 AM and offers a breakfast buffet. The problem is, the restaurant closes at 10 AM and does not reopen until 5 PM. 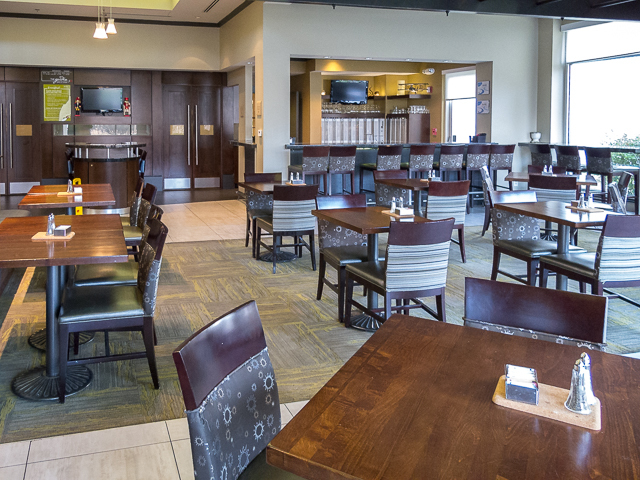 To compensate for this lack of availability, there is a”pantry” next to the check-in desk which has some refrigerated items, water, beverages, assorted snack items, and a limited selection of beer and wine. As a caution, check the price list before you select anything to purchase. 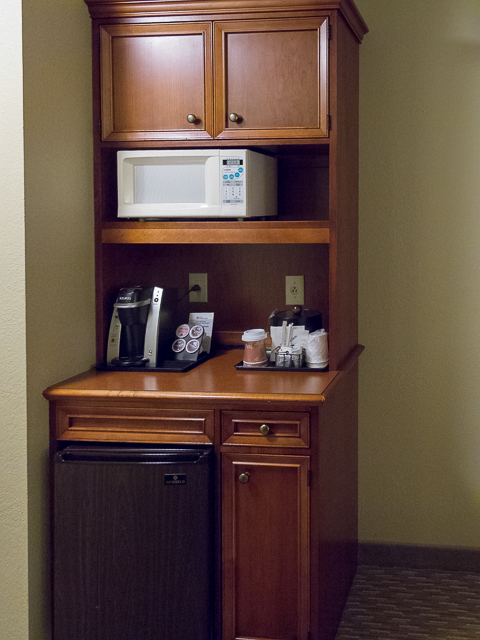 In addition to the pantry each room contains a microwave and refrigerator. This hotel is owned directly by Hilton Corporation as are most of the Hilton hotels located near airports. The reason I mention this is the fact that if you are staying at a corporate owned Hilton Hotel and your company has a contract with Hilton Corporation, and your company pays directly for your room, they will not accept your Hilton honors card. It does not matter what level of Hilton honors member you are (I’m a gold level member). They will not even accept your card for purchases you personally make at the hotel. It’s interesting to me that Hilton Corporation is the only hotel chain that does this. The good thing is that not all Hilton Hotels are owned directly by the Hilton Corporation. A majority of Hilton hotels are owned by franchises, which usually do not follow this corporate practice, and will accept north Hilton honors card and afford you the benefits of your Hilton honors membership level. Sorry, I digress. So I guess the bottom line on this hotel is if you have a short overnight stay and being close to the airport it is important to you, I would definitely consider this hotel. If the restaurant and its hours of operation are a concern of yours, you will need to rent a car. Or limit yourself to the items available in the “pantry”. I’ve included some photos of the hotel below. Enjoy.